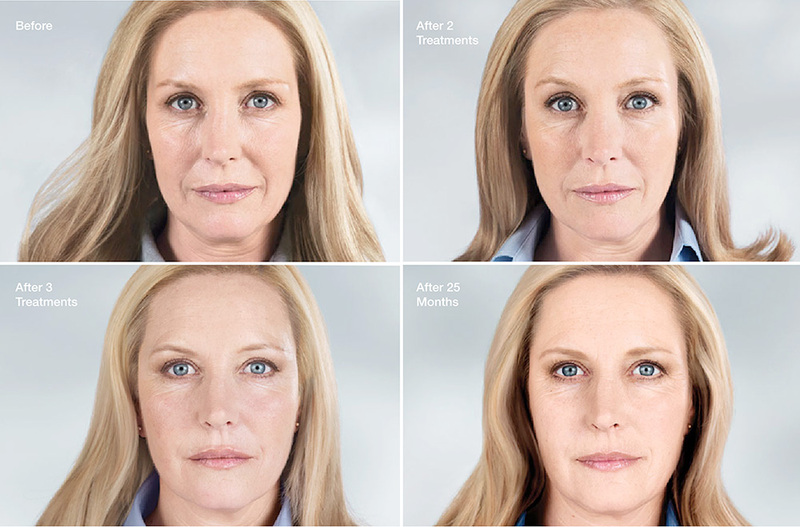 If you want to appear more youthful-looking — without appearing like you’ve had work done — collagen-restoring Sculptra® Aesthetic may be a great choice for you! Collagen is a key structural component of smooth, healthy-looking skin. As you age, your body’s collagen production decreases, and by age 50, you can face up to a 30% collagen loss. 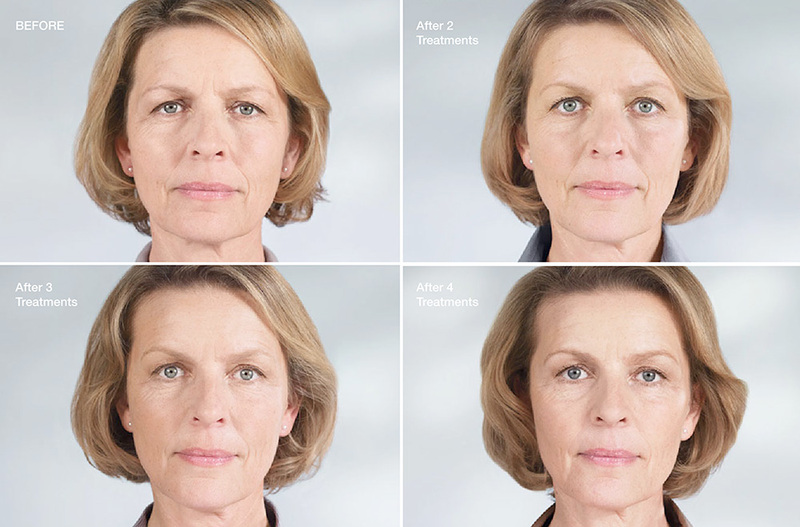 Sculptra® Aesthetic is an FDA-approved injectable that helps gradually replace lost collagen — an underlying cause of facial aging. Used to correct shallow to deep facial wrinkles and folds, it works subtly and progressively over time for a more youthful-looking appearance. 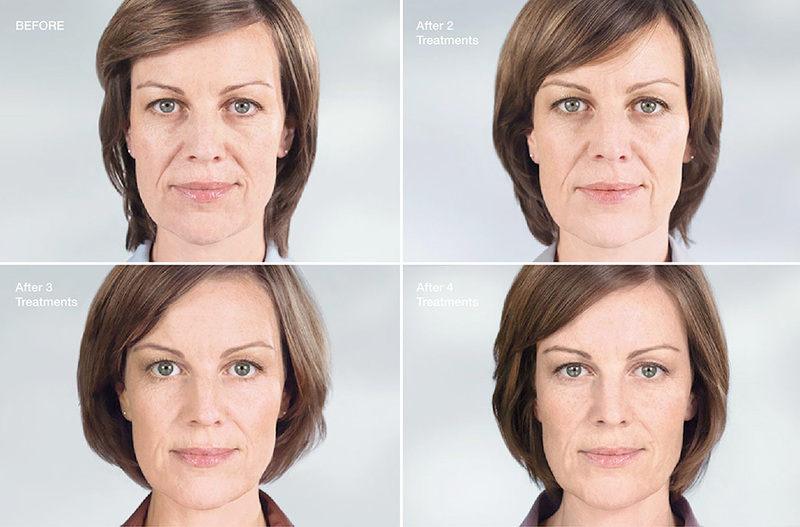 Dermal fillers are liquid or gel substances that diminish lines by pushing up the dermis space beneath wrinkles and creases. Results appear immediately and can last up to several months. Unlike hyaluronic acid fillers, Sculptra® Aesthetic helps stimulate your own natural collagen production which leads to longer lasting results. Collagen stimulators diminish facial wrinkles by helping restore the deep, underlying structure of the skin, and increasing facial volume that has been lost to aging. Results appear gradually over the treatment regime and can last up to two years. Made with a biocompatible, biodegradable, synthetic material called poly-L-lactic acid, Sculptra® Aesthetic is injected into the deep dermis — where strands of collagen support your skin’s structure — and is gradually and naturally absorbed by the body. On average, three injection appointments are needed over a period of a three to four months. The number of appointments and injections may vary from person to person, depending on how much collagen has been lost.